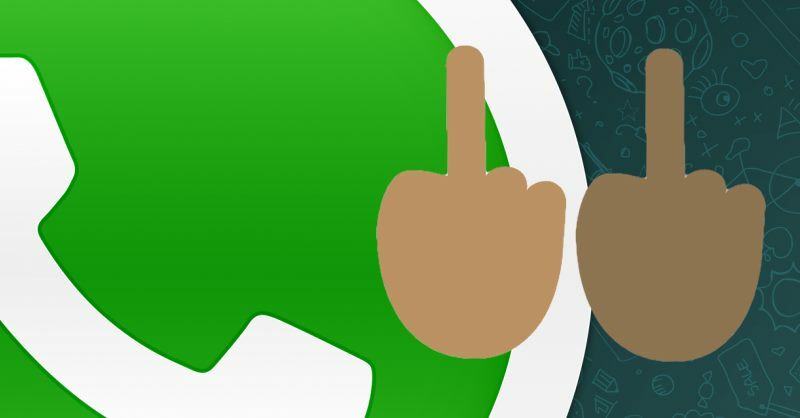 With the latest version of WhatsApp for iPhone and Android, you can flip someone off. Here is a guide to get the hidden middle finger emoji. Have you ever wished to flip someone off with a handy emoticon on WhatsApp? The wait is over! With the latest update of WhatsApp, users can better convey their emotions with the “up yours” emoji. The secret middle finger emoji – technically known as the “reversed hand with middle finger extended (U+1F595)” – was first discovered by Stephen Wilkinson, a Staffordshire University student who quickly published the news on Twitter. 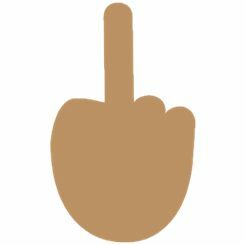 If you reside in the UAE (United Arab Emirates), it’s advisable to not give someone the finger as you may be punished with imprisonment of up to three years since the use of this emoticon – if denounced by those who receive it – will be treated as a gesture done in person. An expatriate or a tourist may be deported if found guilty of violating the law. Would you like to find out where it is hiding? Unfortunately, it is not possible to get the middle finger emoticon among other smileys on the keyboard of your Android phone. To give the bird on WhatsApp, go to Emojipedia’s website and copy/paste this invisible middle finger character >< into the WhatsApp message. The recipient must be using the latest WhatsApp version too, otherwise they will not see the emoticon. N.B. To use this emoji, you must download the latest version of WhatsApp on your phone. How do I create a shortcut on Android phone? As you already know, there are great amounts of keyboards available on Android; therefore the whole process will vary slightly depending on what you use. (Note that not all keyboards allow you to create shortcuts). In general, this is done in the Language & input section of Settings. Once you’re there, go to Personal Dictionary and click on the plus sign [+]. Now copy/paste the character and enter the shortcut to be used. To flip people off on iOS, you simply go to Emojipedia’s website and copy/paste the emoticon into the message. Note that – as it happens on Android phones – you may see an invisible character like this ><. Just copy/paste it into a WhatsApp message and it will be clearly displayed to the recipient. How Do I create a shortcut on iOS? This process is very easy. 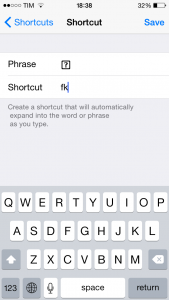 Just go to Settings -> General -> Keyboard -> Shortcuts, and then create the shortcut. Yet, because the emoticon doesn’t display properly, you’ll see a box with a question mark inside it instead. The emoticon is also available on Microsoft’s new operating system Windows 10.